Have you ever dreamt of travelling in space, and seeing the earth and the stars from the high skies with naked eyes being there in the middle of skies?! 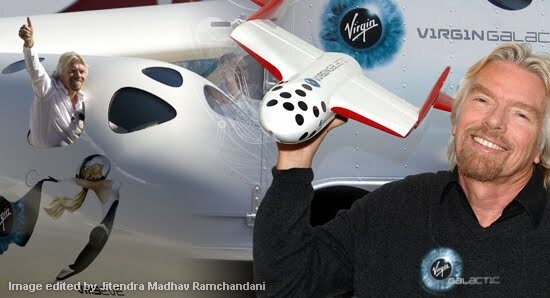 Your dream can come true...Richard Branson the British baron has launched Virgin Galactic – world’s first commercial spaceline! Virgin Galactic will make the space travel possible for almost anyone (who has money to spend). Unlike the airplanes which fly around 30,000 feet above sea level the virgin galactic spacecraft will fly at the altitude of 360,000 feet above sea level crossing the Karman line. 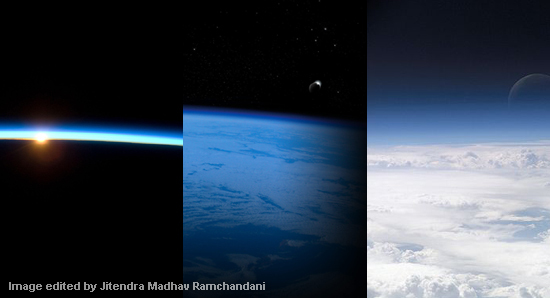 The karman line is considered as the boundary between the earth’s atmosphere and the outer space. This is the point where eadth’s atmosphere starts getting thinner and thinner... This is the same altitude where Aurora is formed, wow we can fly even higher than auroras! At this height imagine how the earth will look..the cities will appear like a pixel dot on the canvas of earth and the huge oceans and continents will be visible as you are standing in front of a huge globe in a dark room...could be scary for some people...but won’t be wrong to say it will be ‘heavenious’ trip for adventurous folks. Years of research on re-usable spacecrafts and safe re-entry into earth has made this dream possible. Here is the official Virgin Galactic video which will show you the glimpses of space travel and the programme. Cost? Well, such an adventure is priceless :) but still you will have to pay $200,000 to fly...what are you waiting for? If you have millions to spend then go book your journey.